When you cook at home, there is nothing better than using fresh, seasonal produce as ingredients in your recipes. But it can be difficult to remember what is in season near you throughout the year. Luckily, there is an app for that, thanks to GRACE Communications Foundation, a non-profit organization aiming to boost awareness and support for sustainable food initiatives. 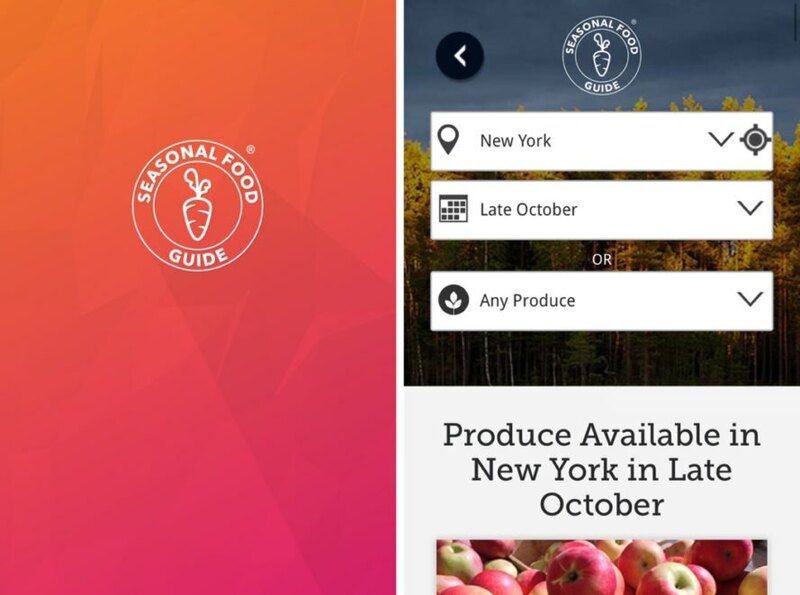 Last year, the foundation launched its Seasonal Food Guide app (available for Android and iOS) just before National Farmers Market Week (in August each year). When you download it, the app will update you on the seasonality of everything from apples to zucchini in your own state. This app will help you in your efforts to eat as much local produce as possible, which not only helps you increase your fruit and veggie consumption, but it also helps local growers and the local economy. The money you spend on local produce stays in your community, and it is reinvested with other local businesses. Why should you eat seasonally? If you haven’t had a lot of experience with eating fresh produce, it is definitely worth a try — it is ripe and flavorful and less bruised and handled, because it is transported locally. You can often taste it before you make a purchase, so you know what to expect. During peak harvest times, there is usually an abundance of fresh produce, and that means lower prices. You can also get “seconds,” which are slightly blemished fruits and veggies, for a major discount, and you can eat them right away or preserve them for a later time when they aren’t in season. This is an extremely frugal way to help you eat healthy all year long. When you purchase seasonal food, you get a fresher, tastier and more nutritious product compared to the foods you would buy in the store. The best time to eat produce is shortly after harvest, and the only way to do that is to buy your produce from a local grower. Plus, when purchasing your produce from local farmers, you can talk to them about how they grew the food and the practices they used to raise and harvest their crops. Another benefit of eating seasonally is that it tends to lead you to cook at home more often, which is a great thing to do for your health. Taking control over what you put in your body — from what oil you cook with to how much sugar you add — helps you to consciously make better choices. Cooking is also a great way to bond, and it is a fun activity to do with your family and friends. Eating seasonally will also challenge you to be creative and come up with new ways to use your local produce. Buying local food is a benefit for the environment, because it helps to maintain local farmland and open space in your community. Direct-to-consumer produce is also less likely to have pesticides or herbicides. Eating seasonally can be intimidating. What is at its peak this month? How do you use that strange-looking vegetable you spied at the market? How do you store your abundance of fruits and vegetables so they do not go bad before you use them? This is when the Seasonal Food Guide comes to the rescue. 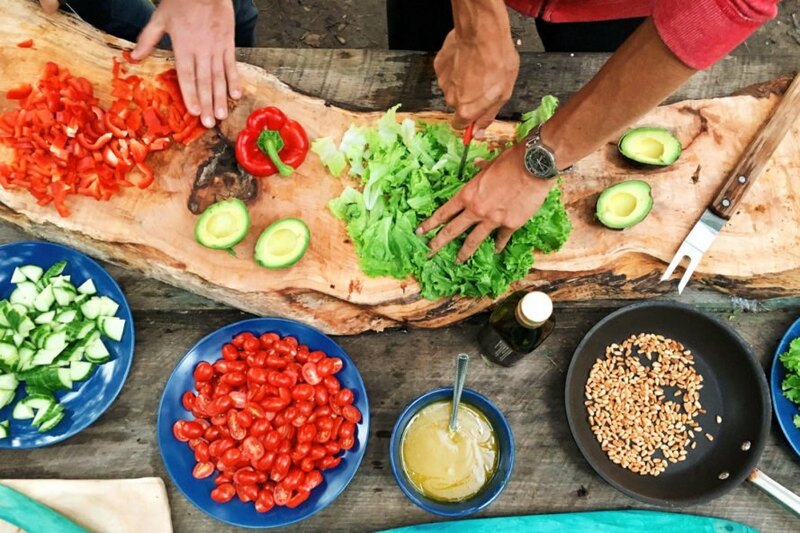 If you need some help with what to do with your local produce, the Seasonal Food Guide has a “Real Food Right Now” series to give you tips on cooking with food from your local grower. There are ideas for everything from asparagus to okra, and there are also tips for which seasonings and oils will complement your produce. The Seasonal Food Guide also explains the history of each item, giving you a chance to learn more about the food you are enjoying. Each fruit, vegetable, nut and legume is also broken down into its nutritional value and its environmental impact, meaning you can see how your produce is affecting the land. The guide also aims to curb food waste by teaching users how to properly store produce and how long it typically remains edible before it needs composted. The comprehensive app teaches users a wealth of information about the foods they eat, while also making it easy to experiment with new, unknown produce items. Check out the Seasonal Food Guide on your phone or computer, and get the best information about what is available in your state this month. You’ll find information and tips for about 140+ veggies, fruits, nuts and legumes. You can also set a reminder for your favorites, so you don’t miss them when they are available. Because the app provides photos of each item, you can also quickly identify that strange fruit or vegetable you passed at the market and learn more about it. This guide makes it incredibly simple to eat local, seasonal foods you love as well as find new favorites to experiment with in the kitchen. To see the web version click here, or download the iOS or Android apps here. The Seasonal Food Guide by GRACE Communications Foundation can help you in selecting the most delicious produce every month. The guide is available on a website or as an app on iOS and Android. 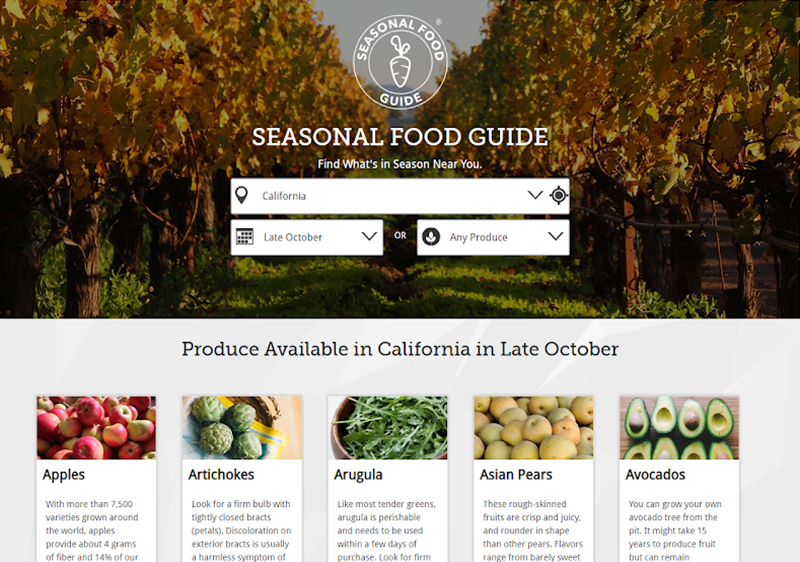 Seasonal Food Guide shows you what produce is in season at any given time in your state. The guide is helpful for people who want to eat more local, seasonal fruits and veggies. This innovative resource also encourages home cooking. 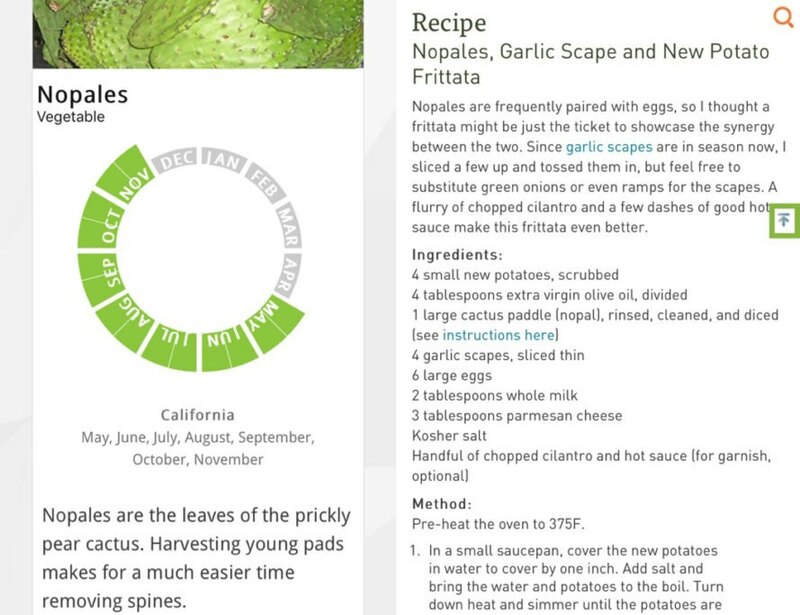 Through the app or the website, you can find seasonal produce as well as how to cook and store it. This guide also gives you the history and environmental impact of each item. The app makes it easy to try new produce and learn more about the foods we eat. 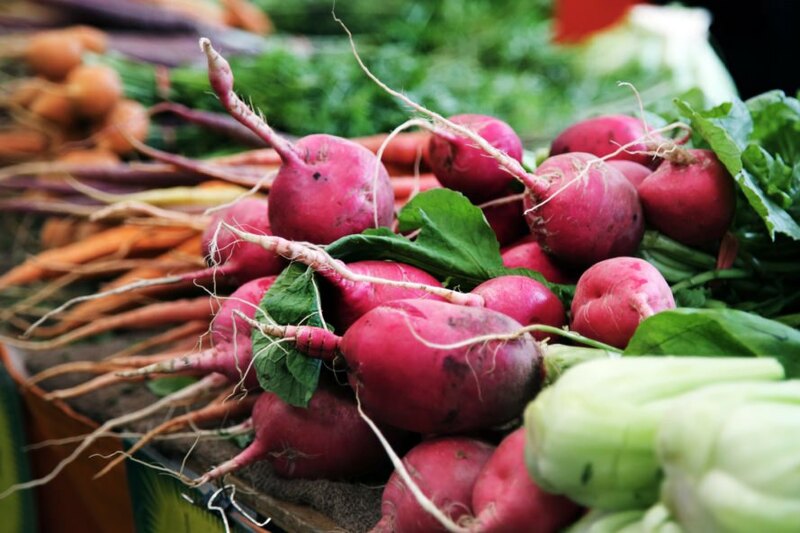 Check out the Seasonal Food Guide before your next trip to the market.